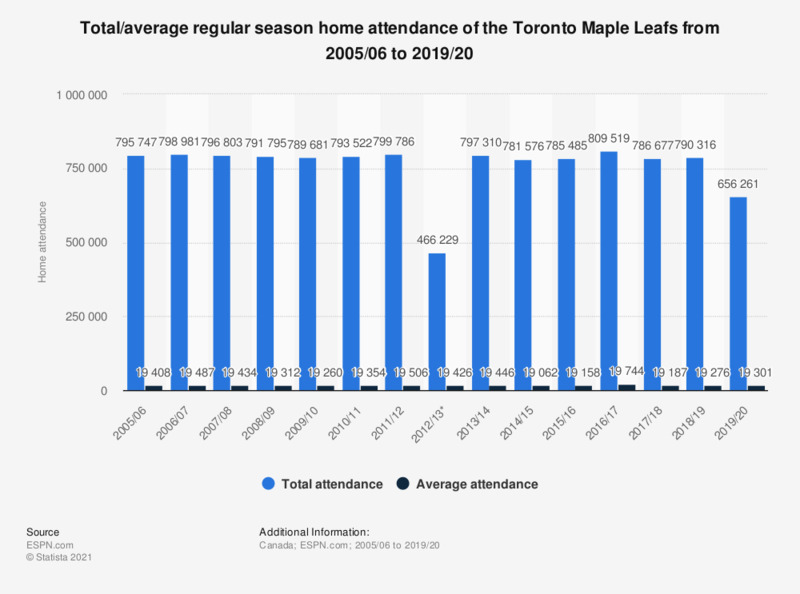 This graph depicts the total/average regular season home attendance of the Toronto Maple Leafs franchise of the National Hockey League from the 2005/06 season to the 2017/18 season. In 2017/18, the total regular season home attendance of the franchise was 786,677. * Due to a lockout each team played only 24 home games instead of 41 in the 2012/13 season.